Find everything you need to know about applying to the University of California. 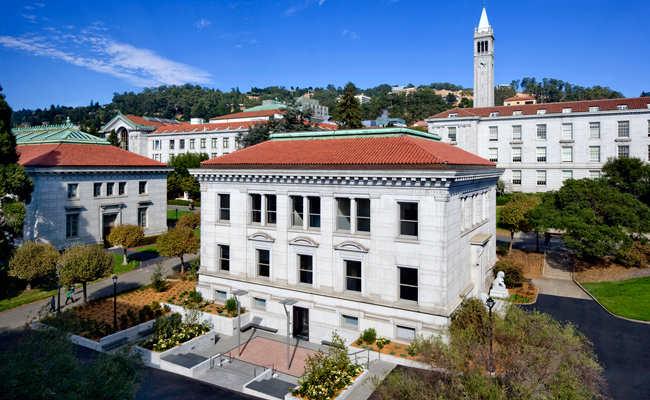 UC Berkeley is home to many buildings designed by Julia Morgan. Julia Morgan was one of the first influential female architects in the United States. With nine undergraduate campuses spread throughout the state, the University of California (UC) public university system can seem complex to potential applicants. However, it’s actually quite simple to apply because all campuses use the same application. If you’re thinking about applying to any of the UCs as an undergraduate student, this handy guide will walk you through the process. Applying to the University of California is a relatively simple process for students, especially if you’re considering more than one campus in the system. UC San Francisco is also part of the UC system, but offers only graduate and professional courses. You will need to use a different application to apply to this university. With the UC undergraduate application, students can apply to as many of the UC campuses as they like. Your information (including your official test scores) will be sent to each of your chosen campuses. Though the requirements are generally the same for all campuses in the UC system, it’s important to note that the selectivity of each school varies. For example, UCLA is considered to be one of the most selective colleges in the country. According to the National Center for Education Statistics’ College Navigator, only 27 percent of the students who applied to UCLA for admissions in the fall of 2011 were accepted. Meanwhile, 80 percent of the students who applied to UC Merced that same year were accepted. UCSD's Geisel Library was featured in the horror film "Attack of the Killer Tomatoes." Freshman applicant prompt: Describe the world you come from – for example, your family, community or school – and tell us how your world has shaped your dreams and aspirations. Transfer applicant prompt: What is your intended major? Discuss how your interest in the subject developed and describe any experience you have had in the field – such as volunteer work, internships and employment, participation in student organizations and activities – and what you have gained from your involvement. Prompt for all applicants: Tell us about a personal quality, talent, accomplishment, contribution or experience that is important to you. What about this quality or accomplishment makes you proud and how does it relate to the person you are? Set aside plenty of time to think about and write your essays. It may help to get feedback from your peers, teachers and parents. Check each essay carefully for grammar and spelling mistakes before you submit your application. October 1: Application opens for fall of the following year. November 1-30: Application submission period for the upcoming fall term. January 1: FAFSA and Cal Grant Verification Form filing period begins. March 1: Notification of admissions for the fall term begins. March 2: Deadline to submit FAFSA and Cal Grant Verification forms. March 30: Notification for fall admission decisions for freshman applicants is complete. May 1: Deadline to submit Statement of Intent to Register (SIR) for freshman. May 1: Notification for fall admission decisions for transfer applicants is complete. June 1: Deadline to submit Statement of Intent to Register (SIR) for transfer students. July 1: Final official transcripts due for students admitted for the fall term. UCLA is the fourth largest economy in LA county. The total amount for your application fee will be determined by the number of campuses to which you apply. For U.S. applicants, it’s $70 per campus (a maximum of $630 if you were to apply to all nine campuses). For international applicants, the fee is $80 per campus (a maximum of $720 for all campuses). Payments can be made by credit card or check. Students may apply for a fee waiver for up to four campuses. You can complete the fee waiver application within the UC online application – you’ll be notified immediately regarding whether you qualify for the waiver. Applying to the University of California is a relatively simple process for students, especially if you’re considering more than one campus in the system. Use the information here to navigate the UC admissions process with ease.